A traditional virtuosic Paganini work. Originally titled Suonata con variazioni Paganini, the manuscript of this work omits the author of the theme on which the variations are based. However, the same theme was used by Beethoven in his Trio in B flat Major Op. 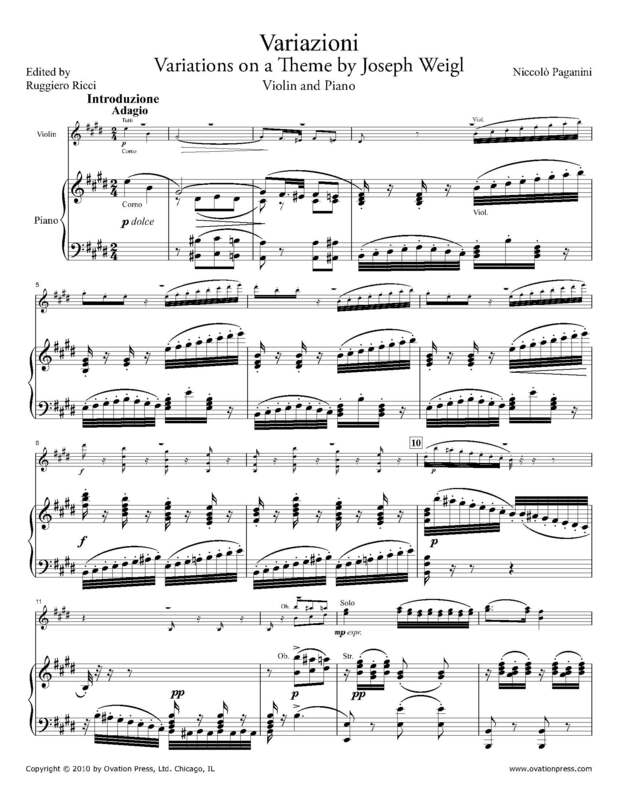 11 for piano, clarinet and violoncello, and the theme can be traced back to the opera L'amour Marinaro by Joseph Weigl first produced in Vienna in 1797. This set of variations displays all the traditional virtuosic Paganini violin pyrotechnics.